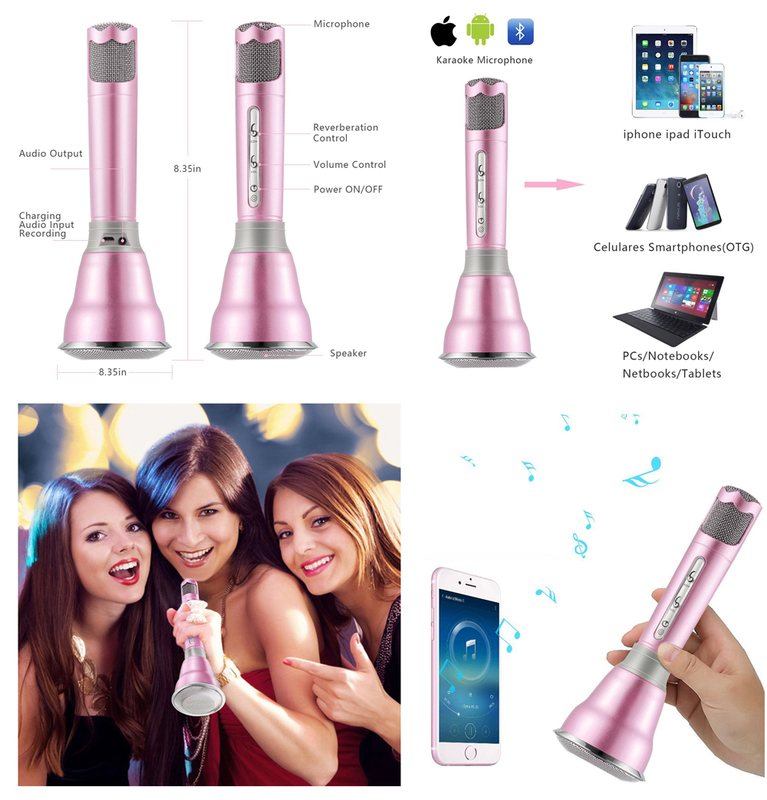 Why choose SINGTRONIC Portable Wireless K068 Bluetooth Microphone Karaoke? 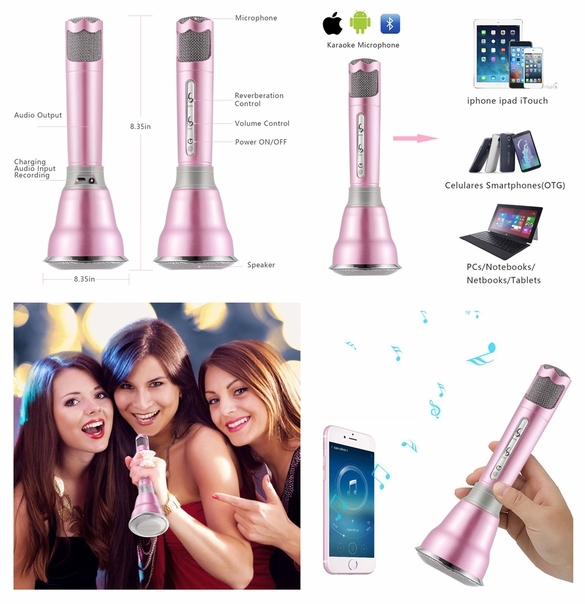 Portable Microphones Karaoke—The most convenient Party Supplies, whatever home party, travel and camping, perfect to show your voice. Unique International Patent Owners—We have our Own Unique International Patent of our Portable Wireless Microphone Karaoke, And all our Karaokes are Official Authentic Products with High Quality. Remarkably KTV Echo Effect—We used the highest quality chipset with two channel stereo headphones, it produces a more stunning KTV live-sound and more clear music rhythm with echo reverberation. MultiProtect Safety Battery—Our MultiProtect Safety Battery could keep you and your devices safely with Surge protection,short circuit prevention and more advanced safety features. Remarkably KTV Echo Effect — We used the highest quality chipset with two channel stereo headphones, it produces a more stunning KTV live-sound and more clear music rhythm with echo reverberation. Certified Safe Battery — Singtronic's MultiProtect Safety Battery ensures your Karaoke will be Safer, Used-Longer and more stable. Multipurpose — Bluetooth speaker, KTV singing, Gathering singing, Family singing, Travel singing, Car Stereo, Instrument Recording, Interviews and Live ect. Also,it's a Unique Gift for your Friends or Family. What You Get — Singtronic K068 Portable Karaoke, Micro USB cable, Audio cable, Instruction Manual. Power on :Press the power button about 3s until the blue indicator flash. Power off : Press the power button about 3s until the blue indicator went out. Pair to your smartphone: Turn on your bluetooth on your smartphone. Then,search for the bluetooth device and select “K068”. If pair successful, you will hear indication voice “Di”, the megaphone will flash like “R G B” light in sequence.